Do you live like this is true? My Personal Battle for Simplicity: One of my biggest struggles as a parent is to balance my children’s youthful energy with my older needs. (Almost) everyday my children hit the ground running, full of anticipation with what the day will bring. The last question one of my children in particular asks me before he says good night is, “What are we doing tomorrow?” Sometimes they appreciate a quiet day, but never as many as I do (or would if I could). And as a parent, I often need to say and teach them to appreciate that today is going to be a simple day. What is it about getting older that helps me appreciate simpler days? I think it’s because of the level of responsibility I now manage. After all, who stands at the altar, or graduates from college and really understands parenting, mortgages, and health challenges? I vaguely remember days when I watched three movies in a row (I needed some downtime!) or spent my evenings however I wanted. But those days are long gone as I now teach children to accept responsibility. (“No! Shut the glass shower doors BEFORE you practice your swimming kicks in the bathtub!” “You mean you lost your dental appliance, AGAIN! ?” “Good job, Boy Scout, holding the door open for that lady.”). I am a woman who craves simplicity. Some of us may be able to manipulate our lives in order to manage the chaos from taking over. But often life takes us for a ride and many choices are taken away from us, for whatever reason. A family member faces serious illness. A financial decision turns sour. A spouse makes decisions that affect you, but you have little control over. You’re diagnosed with clinical depression. The simple becomes complicated. What can you do? 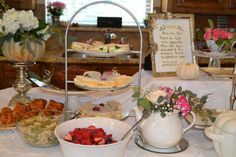 One of the criticisms I receive as a fan of the tea party is that tea is stuffy and not for today, filled with etiquette rules and stiff conversation. This is despite the fact that men and women alike in all kinds of cultures take breaks for tea regularly. And I can’t help but wonder where tea received its bad-rap. 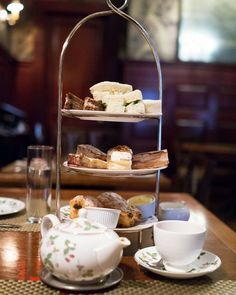 Because the truth is, tea’s reputation instead should be seen as the stress reducer many cultures, whatever struggles their daily lives faced, understood. Well, I just read your note that the tea balls are usually not big enough to make a pot of tea. Mine is cute, and I will use it when I am making myself a cup but I will still head to Teavana for a tea sock or something larger. I think I will add an insulated carafe to my Christmas list, too. Yay, Beth! You’re going for it, step-by-step. Good for you! Have fun with the process and continue to keep us updated.